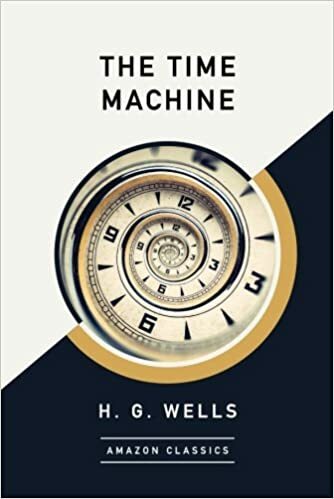 Note: The Time Machine has been out for so long and is a proven classic, so I figure if you are reading this review you aren't interested in whether you should read it or not so much as my personal take on it, because if you want to know if you should read it or not, the answer is probably, "Sure. It's a classic." It might even be required for school or something. Because of that, I have no real bones about spoiling things and will be talking about major plot points and conclusions and all that good stuff. If you've been on the fence about reading it, the story is now public domain, and you can get free digital downloads of it from legitimate sources (for instance from Amazon here.). Or it's probably in your local library. The version I read was a discarded paperback from my library's used book shelf. It is a short book. It's a classic scifi and the "conceits" of it are worth exploring. So, that said ... here is my review. For skill, imagination, etc, this would probably be a 4 or a 5 star book, but it gets a personal preference rating of 3. First off, the beginning section of this is really dry. It takes a long time to get to the actual time traveling considering how short of story it is. I put it down several times to read other things ... I got through the first few chapters a few pages at a time over a course of months. Probably some of the drive to read it was destroyed because I'd had the major plot points told to me by Gary Sinise (not personally. I wish Gary Sinise and I sat around and talked classic scifi, but sigh, that is not to be. There's a part where his character in a movie gives a break down of it. Ransom, I think. It's been a while, but I have a weird affinity for Gary Sinise even when he's playing the bad guy. I know. It's odd.). Honestly, I can't remember the last time someone wrote a character who was so unlikeable to me that I read the whole book looking forward to him getting himself into a fix which would force him to learn some humility. That doesn't really happen ... yeah, there's some lip service to "oh how mistaken I was..." but the guy doesn't change much and the most satisfaction you get is that no one believes him, but he doesn't seem to care because really he only cares about himself and his intellectual pursuits. If you think yourself the superior specimen, the acknowledgement of others isn't needed. You can sum up this plot as "guy goes forward in time, make assumptions that get him in trouble, thinks of a "brilliant" plan to fix things, drags along a helpless being who trusts him fully, doesn't do much to protect her, gets her killed (presumably? He doesn't definitely see her corpse, but it's a conclusion he makes), escapes because he makes mistakes which actually work out for him, gets away, feels sad about it, but continues to travel in time with some wistful thoughts about the girl he got killed. That said, there is amazing artistry and imagination that puts together a world that makes logical sense while still being fantastic. Also, H. G. Wells really liked the word "incontinently." I'd think they'd have to really deviate from the script to get any sort of a marketable movie. So much of the book is the guy just observing and conjecturing about the course of society and the world in general over thousands and thousands of years.